The picture of the Flying “M” has caught my eye over the last week, but I had never checked out the listing. This morning I saw it again, saw 12hr left on the auction and wondered what kind of motorcycle could cause an impulsive investment. 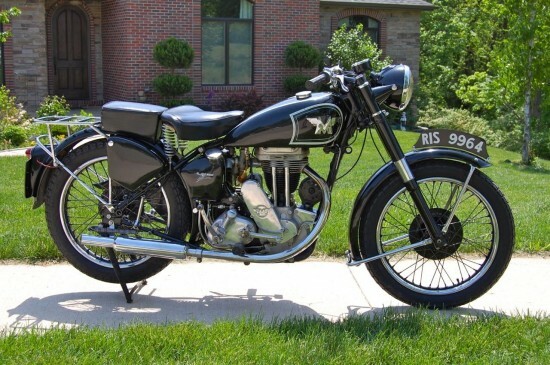 This 1949 Matchless G3L is very well put together, and if I did not have control of myself, I could hit the bid button. 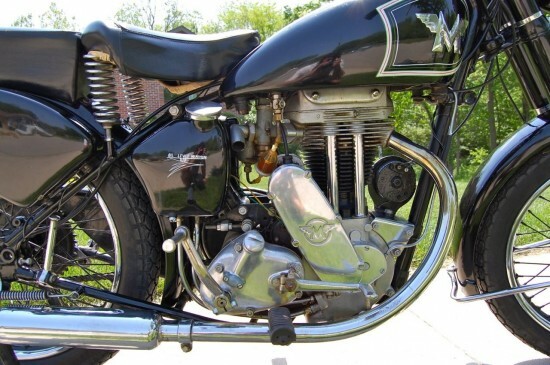 Matchless G3l. Very nice older restoration, not perfect but it has held up pretty well. Very presentable. All painted and chromed surfaces shine nicely. Although there are a few minor blemishes. .. Recently I have gotten it back to running condition. A new battery (housed in an old looking Lucas battery) and a new voltage regulator. 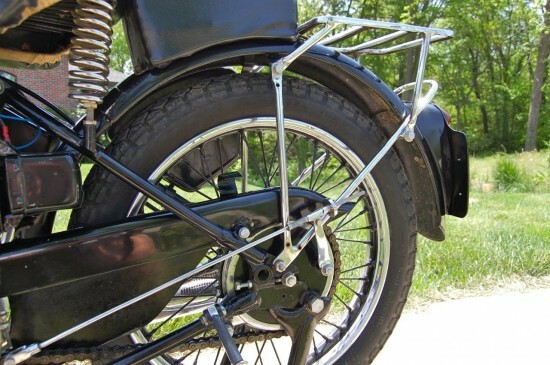 The electrics work well and the battery charges…..The bike starts easily runs great and stops when asked. 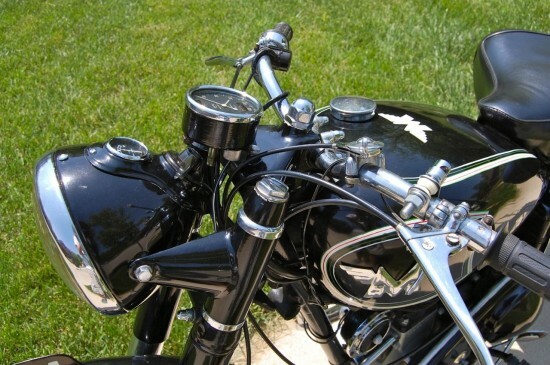 Chronometric speedometer works too and shows 786 miles since the restoration…..One thing that makes this bike great is that it has low maintenance drum brakes and magneto ignition on a 6volt system makes this bike very easy to take care of. No worries about brake fluid or really even a battery because it will run just fine with a dead battery. I could see this bike being used as a pit bike at historic or vintage events. Just imagine rolling this beauty out of the trailer and cruising the event. 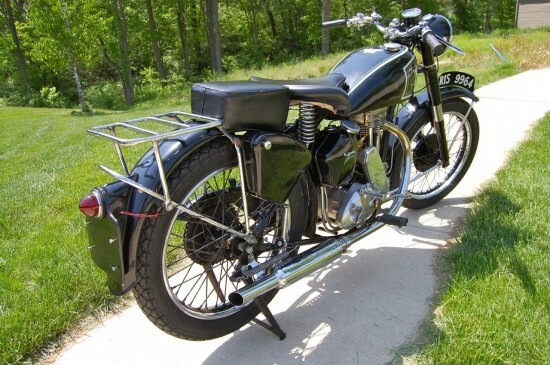 Originally developed by Matchless as a war machine, the G3L had the advantage over the G3 as that it had Teledraulic front forks. With its 350cc engine, dispatch riders all over the world used the Matchless to get from point A to point B, weather it in the desert, the jungle, or the forests. It did such a good job that the British Army continues to us these singles into the 1960’s. After the war, like other surplus items, the G3L ended up in the hands of civilians, and became the preferred weapon in off-road trials competitions.